Ever hear anyone say they want things to be more complex? Most strive for the opposite . . . simplicity, but it’s not always obvious how to achieve it. This new article provides examples of how taking the simple approach can boost your and your department’s productivity. 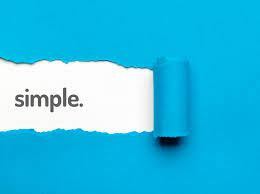 And we couldn’t agree more at ContractSafe about the importance of keeping it simple. That’s why we made ContractSafe super easy to use so that no training is needed to get started. Try a free trial and see for yourself.